- Finally have pictures ! This is a really nice, vintage HiPoint! 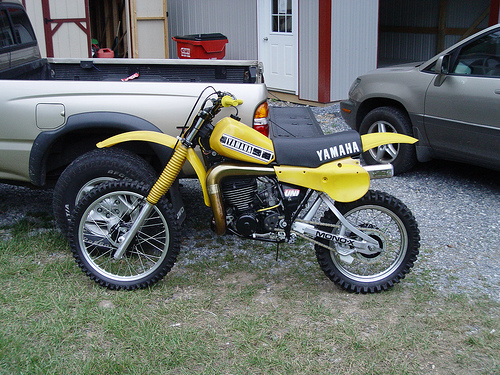 WANTED TO BUY: 1978-79 Honda cr 250 Rolling chassis please call DeWayne 724-756-1155 or e-mail me with what you may have..
1980 YZ125G parts-carb, airbox, shock, forks, frame, swingarm, cylinders, heads, wheels. Wanted to Buy; 1979-81 Yamaha yz 250/400/465 or 1979 KX 250 or 1978-80 Honda cr 125/250 or 1979-80 Suzuki rm 125/250/400 maybe a RM 465 please call deWayne 724-756-1155 or e-mail me... looking for a restoration fix up Bike.. thank you..
Wrong year, it's a 1985... sorry! 3 nos 1987 mugen me125 head gaskets. 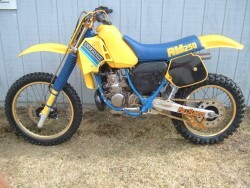 1988 mugen 125 kit , needs replating. 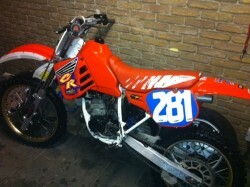 comes with verry special exhaust and exhasut chamber. 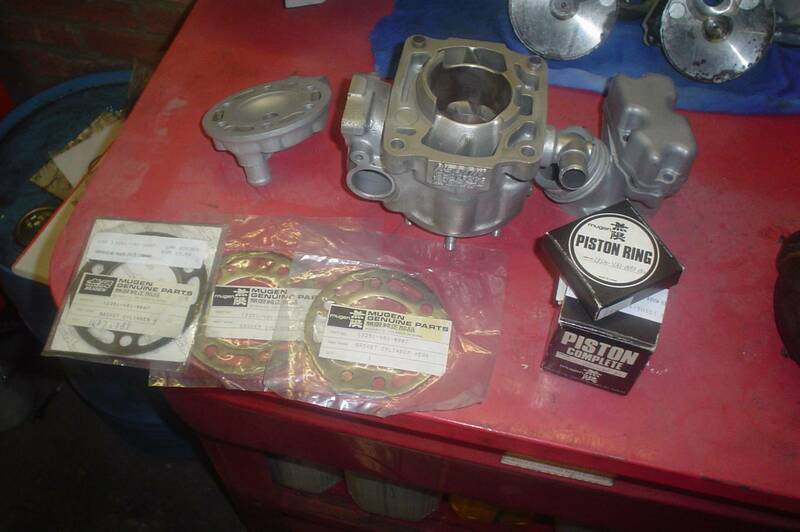 also nos mugen piston with ring , and a extra nos ring. hello kit is fine for the model 89? make a offer on kit and piston! 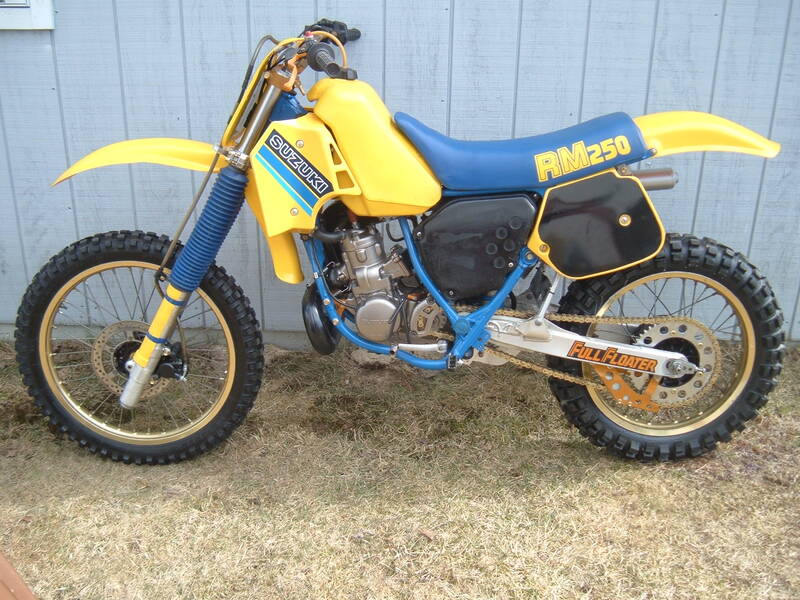 WANTED TO BUY: Head for cylinder ME250 MUGEN 1983. 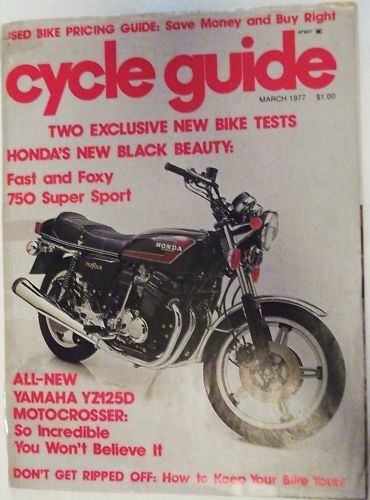 CYCLE GUIDE,Full Cover, March 1977,used Bike Pricing Guide:save money and Buy Right, two exclusive New bike test's, Honda's new Black beauty, fast and foxy, 750 Super Sport, All new Yamaha YZ125D motocrosser, so incredible, you wont believe it. , How to keep your bike yours.$10. 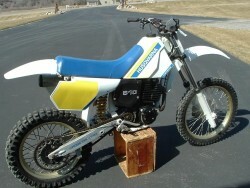 WANTED TO BUY: 1979 Honda cr 125 or 250 Elsinore that needs restored ... please call DeWayne 724-756-1155 or e-mail me.. Very original, low hour bike and ready for restore or ride it as is. WANTED TO BUY: 1981-83 Suzuki rm 125 Complete Rolling chassis ..please call DeWayne 724-756-1155 or e-mail me..
looking for a 1970's Yamaha 175 endure. 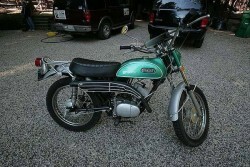 want to restore! hi, do you have pics and can you emaul them to me ? Hi, can you e-mail me pictures? Thanks! 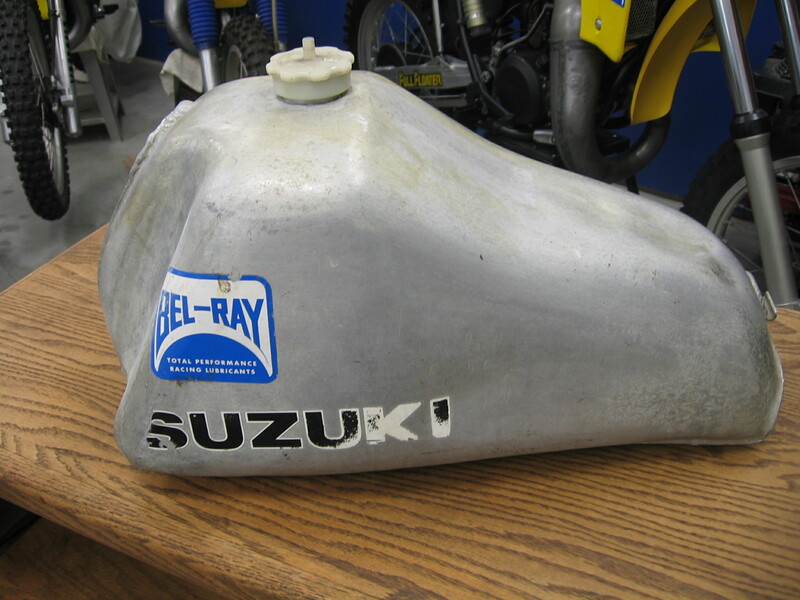 TRADE ONLY Works Suzuki gas tank , I believe this to be a 1978 RH / RN tank very similar in shape to the 1979 80 production tank , but uses the 76/77 style gas cap . I'm looking to trade for 1983 RA83 Works Suzuki parts , parts that Im looking for are radiators & shrouds , rear brake pedal , complete bottom end , and any plastic such as rear fender & side panels . Any help would be much appreciated Ed. 1980 YZ465G many new parts, very good condition, the airbos has never been hacked on. 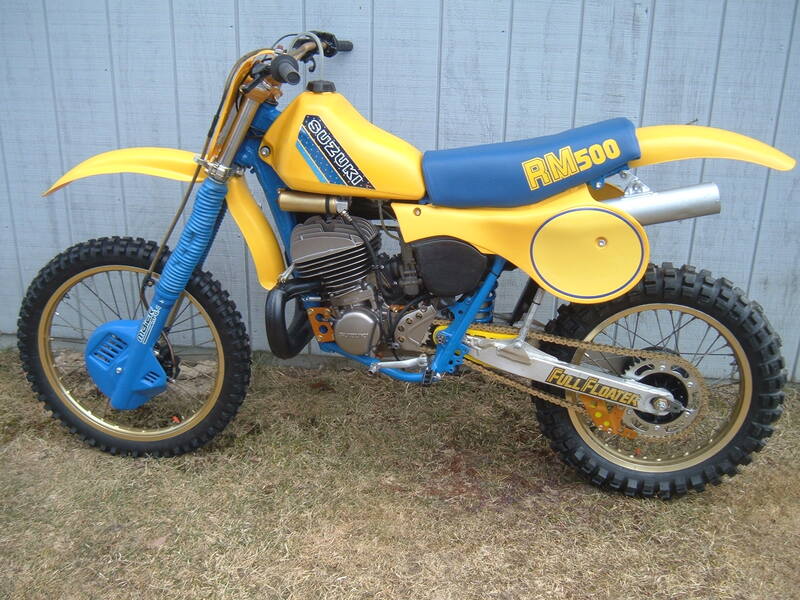 Built to run in AHRMA but health forces sale. 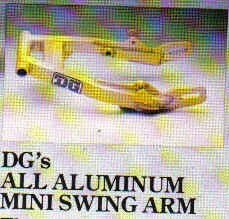 Extra parts and title included.